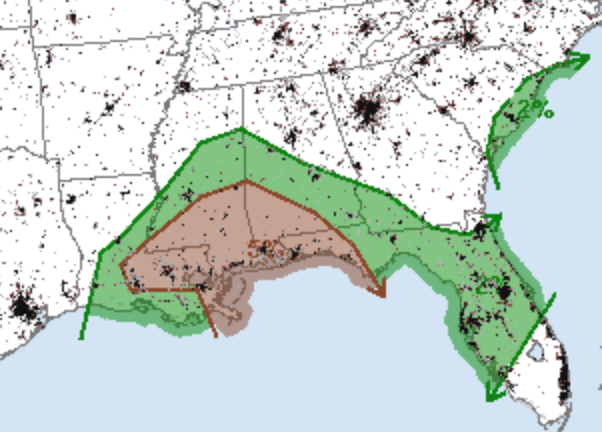 The brown area has a risk of tornadoes from now through this evening. A tornado watch is currently out for part of the area. If you live in the brown area, please keep up on the weather as thunderstorms approach or the skies darken. Note: As previously announced, this blog no longer does live blogging of storms.